Words of Euphoric Nostalgia: The Diamond Horse by Stacy Gregg: Book Review + Q&A with the author! 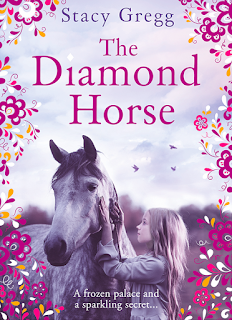 The Diamond Horse by Stacy Gregg: Book Review + Q&A with the author! A frozen palace and a sparkling secret – an epic Russian adventure awaits! Anna Orlov might be the luckiest girl in the world. She is the daughter of a Russian Count and lives in a beautiful snowbound palace that is home to a menagerie of wonderful animals: tigers, wolfhounds and, of course, horses. And she is also the owner of a beautiful heirloom – a diamond necklace with a secret past. An epic adventure of horses, friendship and sparkling secrets! I am never short of disappointed after reading Stacy Gregg’s middle-grade pony novels. As I’ve stated in previous reviews, I have always been a massive fan of her work because she manages to inspire me more and more with every book she writes. She was the first kiwi (New Zealander) author to make me fall in love with reading pony books but also to start reading more YA and even adult novels, which would usually intimidate me to the point of avoiding anything that may seem too long or boring. These days I’m usually willing to at least try read something just because I want to give other authors a chance like I first gave Stacy. The Diamond Horse is her fourth stand-alone historical fiction novel where she has used the legend of the Russian breeder, Count Alexei Orlov who was most famous for creating the Orlov Trotter out of Arabian stallions and after having previous successes with The Girl Who Rode the Wind and The Island of Lost Horses, both being based on real life people and events that happened centuries ago. Like I stated in my last review, I have not read many historical fiction novels before but after devouring this new release I am completely fascinated by the idea of being able to learn more about history just by reading retellings of the people and events that created their own legacies. 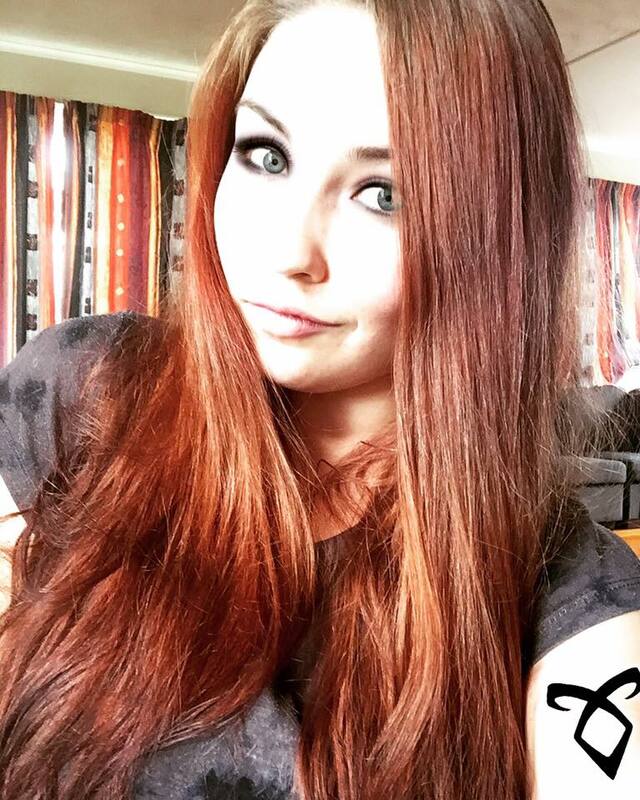 Stacy has been known to write from the point of view of two characters and telling the story by weaving the plot together using both of the protagonists to give the reader a sense of intrigue. 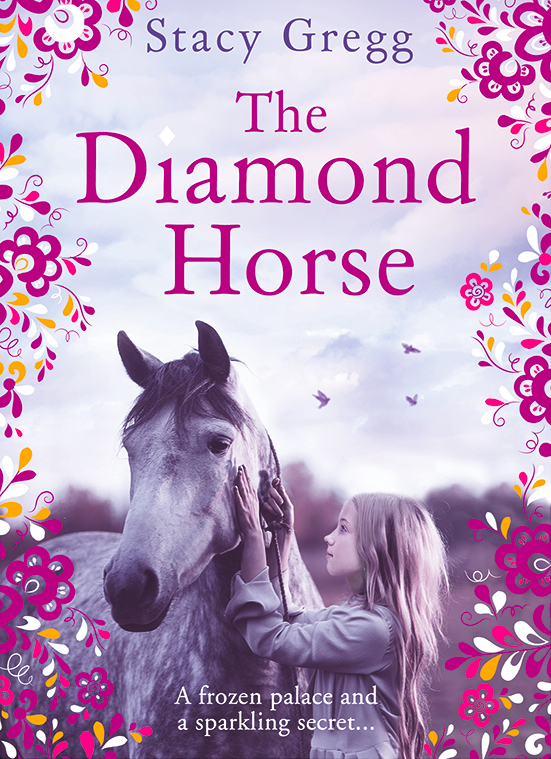 In The Diamond Horse, Anna Orlov is the first character to be introduced, being the daughter of Count Alexei Orlov, as a nine-year-old girl. To fit the middle-grade age this was the perfect way to tell the story of the Russian legacy that, in real life, Anna carried on with after her father’s death. Valentina Romanov is the second character to be introduced – based on the Russian equestrian Alexandra Korelova who was the first to compete on an Orlov Trotter named Balagur and win a perfect score of ten in the dressage at the 2007 FEI World Cup Dressage – who is a young orphan girl living with the circus and dreams of joining the Russian dressage team. Both points of view are written in a way that explains both real life events while also giving it a magical touch by adding in the Orlov diamond necklace. Anna and Valentina both own the same jewelled heirloom so that it connects them like a metaphor by showing the reader that Valentina was able to go on and prove her Orlov Trotter to be just as talented as any other breed of horse. The one thing that fascinated me most was the idea of the story being set in a snowbound estate in Russia and it being completely filled with various different animals that are free to roam around the house - something that would completely astound many younger readers. Anna’s best friend is basically her borzoi hound, Igor – another of Count Orlov’s breeds that he was famous for creating. This would appear to many middle-grade readers as cute and adorable but it also does a great job of emphasising the fact that Anna doesn’t have many friends and mainly keeps the company of whatever animals roam around her house. Later on she saves a young tiger cub from being tortured by her brother, which she names Boris and later becomes a very important figure that furthers the development of the story. Drakon is the young foal that she also saves from being slaughtered but this time it is going against her father’s wishes. This eventually serves for the most important part of the plot but everything weaves into place perfectly and creates the most intriguing and satisfying children’s novel that Stacy has written so far. Valentina’s story is short and basic but defines the most important facts about the life that her horse Sasha, being inspired by Balagur, has as a circus horse and then goes on to be one of the most inspiring Orlov Trotter horses to ever live. If I could read any more books based on this legend or anything based on historical events and famous figures in Russia, I would jump at the chance to now that I’ve read The Diamond Horse. · Anna is a really likeable character who is introverted like me. She keeps mainly the company of animals and talks to them as if they can understand her, which is exactly like me. I was able to relate to her more and not feel like the lack of ‘human’ friends was a big thing. · Drakon is the most gorgeous and amazing horse and has made me want to get an Orlov Trotter as my first horse. Despite the fact that it is now a rare breed and there aren’t probably many, if any, in New Zealand. Knowing me, though, I’d find a way or breed one myself! · If only I had a passport… I am now obsessed with Russia and the idea of riding a horse across ice and the Russian Taiga. Okay so maybe that might not be the most realistic wish, but if a fictional twelve-year-old can do it then I’m sure I’m perfectly capable of it too – watch me. · It is a completely inspirational and compelling story that will steal your heart away! I love Stacy Gregg in general but she just keeps getting better with every novel she brings out – this may seem to bias all my reviews on her books but I would be completely honest if there were something I didn’t like. Basing her first series here in New Zealand made me respect her highly as a fellow writer, but then continuing on to write retellings of stories from other countries made me want to follow her work for the rest of my life. · I personally feel that Empress Catherine (Catherine the Great) acted as a mother figure towards Anna, helping improve the overall effect of the novel and enhance the reader’s personal opinion of Russia’s most successful Empress. Catherine the Great was well known for vastly improving Russia in many ways when she ascended to the throne after her husband’s death. I don’t know if Stacy purposely wanted to make Catherine appear as this influence upon Anna, eventually helping the young girl discover her confidence and independence so that she may stand up to her brother and father, but I feel like this was a great way to contribute to the protagonist’s development and remind Anna that she is important no matter what her age or gender is. As an underlying theme of feminism, and also subtly informing the reader of Empress Catherine’s influence on Russia’s society by hinting that she literally fought for women’s rights during her reign, this transformed the novel into a beacon of hope for any female reader who would want to feel like she can achieve anything too. Throughout reading this beautifully written historical fiction novel, I could not find anything I didn’t like; there was not one thing that didn’t develop the progression of Anna’s character, ruin the plotline, or retell the Orlov history in a way that might offend or turn away any reader that may feel obliged by picking up a children’s book. 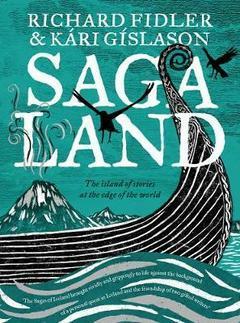 The fact is that Stacy Gregg is possibly, if not definitely, one of the most talented middle-grade pony genre authors in the world and in my opinion she is ranked up with New Zealand’s best children’s writers alongside the legacies of Margaret Mahy, Joy Cowley, Patricia Grace, and Witi Ihimaera. I’ve known for a long time that Stacy would always be the one to write books that would forever compel me to follow in her footsteps as an author and maybe even one day follow in the footsteps of her very first protagonist, Isadora Brown’s, footsteps by becoming a professional equestrian competing around the world. I have given The Diamond Horse a five out of five stars because it is absolutely inspiring, heartfelt, beautiful, and written with tremendous passion by a woman who started her career because she found solace in the art of writing about something that was ever so dear to her heart: Horses. If you may feel like this may not be an honest review then please just read her books, particularly this one. I have no doubt in my mind that Stacy has the ability to convince thousands, even millions, of people around the world that writing stories is more than just providing reading material for those that need a good book to chill out with in the sun. She can turn lives around for the better by using her love for horses to install magic in the hearts of many young readers around the world – the best part is that I got to be one of those young girls and now that I am a twenty-year-old woman, I know for sure that my life wouldn’t have been the same if I had not picked up the Pony Club Series novels nine years ago. I have never been so grateful to someone who I’ve never met before and I hope that one day I’ll be able to tell my story, and many others, in a way that will empower the hearts of people like me. Q: Your latest novel, “The Diamond Horse” features the gorgeous Russian horse breed: the Orlov Trotter – bred by Count Alexei Orlov in the late 18th century. What particularly inspired you to write a fictionalised version of this history through the eyes of his daughter, Anna Orlov? A: I was sent a book on rare horse breeds by my editor in London when she was having an office clear-out. I opened the page to this incredible dragon-like creature and it turned out to be the Orlov Trotter. I began to do some preliminary research and discovered the background to the man who established the breed – a brooding, warmongery evil count in a snowbound palace outside of Moscow in the time of Catherine the Great – and his daughter Anna and son Ivan. It all tied in with a modern day story about a famous Orlov Trotter, descended from the original horses of Count Orlov, a remarkable pink horse called Balagur (Sasha in my story) who went on to glory at the Olympic Games. Q: You’ve mentioned once before in another interview that you are of Maori bloodlines and identify with the Ngati Mahuta iwi. Have you ever considered possibly writing a story with a Maori protagonist, using the history of the Kaimanawa horses? A: The Kaimanawas are amazing aren’t they? And I am such a fan of the Wilson sisters (Kelly, Amanada and Vicki) who have done so much wonderful work with the breed. Kelly has done a wonderful picture book “Ranger” which is great for younger readers. And there are other wonderful books on Kaimanawas too. I’m unsure if there is still a story for me to tell around the horses on the plains but I would definitely not rule out an NZ story in the future. Certainly the Pony Club Secrets series takes inspiration from my days at pony club in Ngaruawahia – and those books are set here in NZ so I have used New Zealand as a location in the past and I think it is a wonderful place to be horsey! Q: Do you ever find it difficult to be away from home and family while travelling for research or book tours around the world? A: My daughter who is 16 has been with me on a several of my research trips – she’s tagged along to Italy, Spain and Russia. The recent tour for The Diamond Horse was a bit of an organisational nightmare because our pony got badly injured on a wire fence so I needed a roster of generous friends to nurse her on box rest while I was away! Q: Would you say that the recent influx of people creating book-related content through videos on Booktube or writing posts on book blogs has helped children and young adults submerse themselves more in literature? Care to explain your thoughts? A: I’ve seen a few blogs and movies about my books on youtube – there’s one particularly vicious review by a former fan who has decided she now hates Pony Club Secrets and her take on the books is kind of unintentionally hilarious. I’m not familiar though with booktube. I think any forum where young readers can discuss books and express their opinions is great! Q: Do you feel the content made by this online community has been/could be beneficial to kiwi authors such as yourself? Care to elaborate or give ideas on how it could improve? A: The good thing about any online discussion of books is that it is internationally accessible – and because I’m published in a lot of countries it’s a way of allowing readers around the world to communicate – so that’s got to be good. Q: It was announced a few years ago on your website that PCS had been optioned to be a movie series but were never actually made. 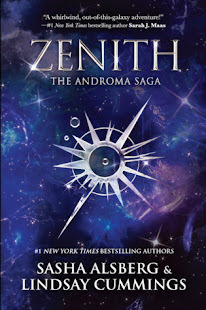 Is there any possibility the series could be re-optioned in the future, along with your other books? A: It has been optioned again since then and I have my fingers double-crossed – so watch this space! Q: Would you ever consider writing young adult fiction? If so, would you stick to the pony genre or would you consider exploring other ideas? 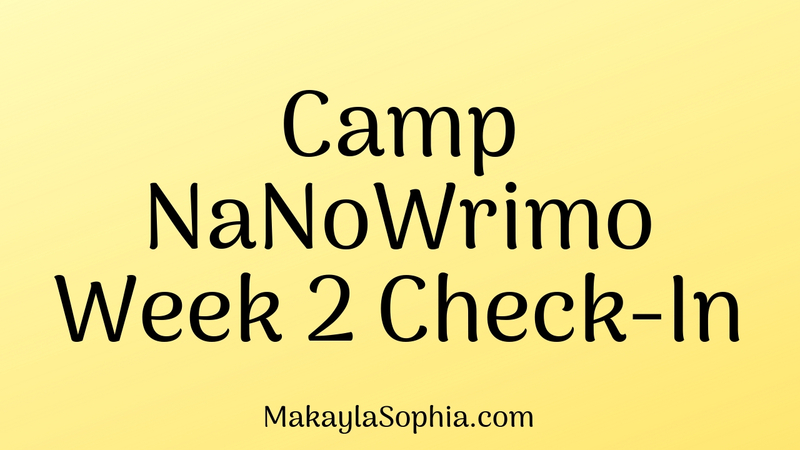 A: I love writing for middle grade (ages 8-12) and I already have plans for my next two books so I am not planning on swapping genres anytime soon. I think there’s been in a natural progression in the kind of novels that I write so that horses remain the backbone of the work but I get to incorporate historical elements and, in The Diamond Horse, there’s a vast, fantastical menagerie of other creatures! Q: It is a well-known fact that being an author in this day and age can be quite a financial struggle if you are not a bestselling author, particularly here in New Zealand. Could you give us a few tips as to how we might be able to accomplish our dream job in this difficult market? A: Publishing, like any business, is very trend-driven so if there is a boom, for instance, in vampire novels it’s tempting to think you should write one. But by the time you notice the trend it is usually on the wane. Far better to come up with your own original idea that you really want to write and focus on that and just go for it! You need to complete a whole manuscript for a publisher to take you seriously – they are not interested in someone who has just written a sample chapter or two. You need to prove you can knuckle down and create the work. I’m still a big believer in traditional publishing models because the editor and the team behind you will help you to really refine and hone your manuscript, and it can make a huge difference to the final novel you put out on the bookshelves. My agent has been amazing too, she gives me invaluable input at the very early stages of my books and is there to hold my hand when things get tough so the first step to a career is to find an agent who will really go in to bat for you! After that, it’s just a matter of sitting at your desk every day until you get the work done….